In the Jan/Feb 2016 issue of The New Brewer, I summarized five distinct strategies brewpubs could pursue to not only survive, but also thrive as our industry continues to grow. In order to provide additional clarification, inspiration and practical examples, this post takes a deeper dive into one facet I mentioned in my article: value innovation. Value innovation means doing two things at once: reducing costs and differentiating from the competition. Cost savings are made by eliminating and reducing the factors an industry competes on. Differentiation comes from introducing something new, which boosts buyer value. Over time, costs are reduced further as the increased value leads to more sales and scale economies kick in. 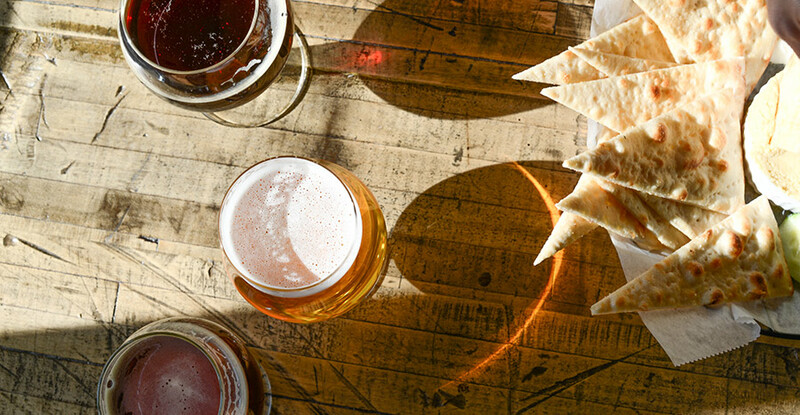 The traditional strategic model assumes that differentiation costs valuable resources, which forces brewpubs to choose between differentiation or low cost. Value innovation ditches that trade-off mentality. The idea is that rather than competing, brewpubs can create uncontested market space. By offering a new or different product, they can create and capture new demand and render the competition irrelevant. Let’s look at how we might apply the strategic mindset of value innovation to product development. Rather than competing for the well-served “hop head” demographic by releasing a new IPA or pilsner, a brewpub can go in the opposite direction—choosing to offer exclusively hop-free beers or gruits (gruts/gruyts). Instead of competing in the variable (and oftentimes expensive) hops market, the brewpub sources various herb mixtures as a less expensive, yet equally versatile substitute. At the same time, it has created a unique product with distinct flavors that no one else can replicate. The brewpub will create new demand by bringing in people who previously could not drink beer due to hops allergies, by educating the public on the colorful history of gruits, and by generating excitement through marketing and public relations efforts that draw people in to experience products they have truly never tasted before. In this process, the brewpub has created an entirely new product at a lower cost. By threading a value innovation strategic mindset throughout its execution and focusing on quality and consistency, that brewpub could easily become the standard-bearer for gruits. Where should you start when developing a value innovation? By constructing a strategy canvas. A strategy canvas captures the current state of a market space. It allows you to understand where the competition currently invests; the factors the industry competes on in products, services and delivery; and what customers receive from the existing competitive offerings. A strategy canvas looks like a simple two-axis graph. The horizontal axis captures the range of factors the industry competes on and invests in. Examples would include price, number of beer styles offered, brewer prestige and legacy, specialty bottle releases, hop or yeast varieties used, and range of beer complexity within a specific style. The vertical axis captures the offering level that customers receive for each factor, from low to high. 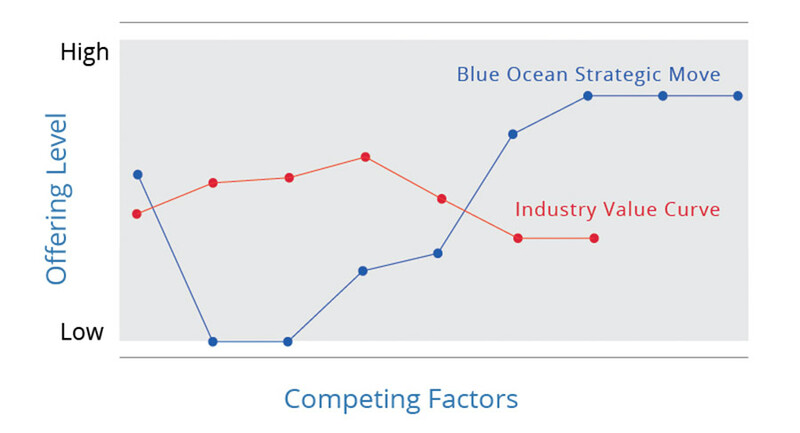 Scoring a brewpub on each factor and connecting the dots reveals a “value curve” that provides a graphic depiction of the brewpub’s relative performance, which can be compared to specific competitors or industry averages. What does the craft beer industry take for granted that needs to be eliminated? Which factors should be reduced well below the industry status quo? Which factors should be raised well above the industry status quo? In answering those questions, the brewpub identifies a new value curve and creates a roadmap for getting there. The strategy canvas pushes the brewpub to simultaneously pursue differentiation and low cost; identifies brewpubs that are only raising costs; makes it easier for owners and managers to visualize, understand, and communicate the brewpub’s vision to the rest of the brewpub staff; and drives the brewpub to scrutinize every factor the craft beer industry competes on. As an exercise to aid you in unlocking creativity, compare your brewpub to your competitors by drawing your current strategy canvas. Wander your city’s streets and brewpubs to see what the competition is doing to stand out, and how well their ideas work. 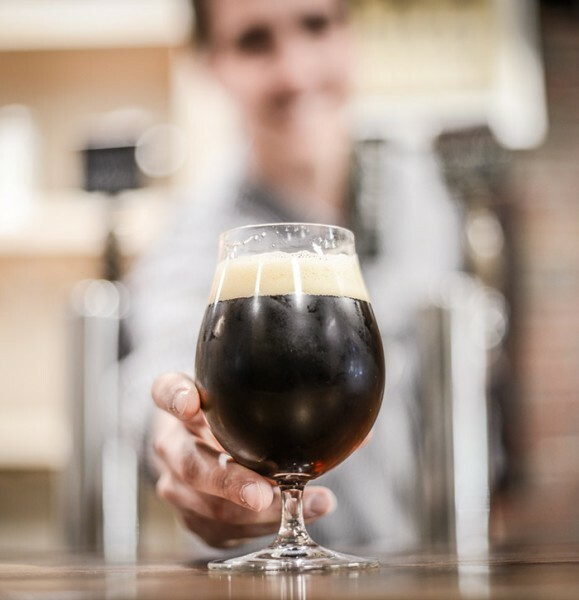 Get feedback on alternative offerings from your customers, other brewpubs’ customers, and especially non-customers so you can find ways of enticing them through your doors. Use the insights and feedback you collect to build the best future strategy, and plot a new value curve on your strategy canvas. Compare your current profile to your new profile, recognizing where your existing strategy needs to change. Then support only those projects and operational moves that will allow your brewpub to close the gaps. From this point forward, don’t compete. Create. After serving as Dogfish Head’s controller and Mother Earth Brewing’s CFO, Audra Gaiziunas launched Brewed For Her Ledger, LLC, in 2013. Audra has served 60+ beverage industry in the areas of strategic finance, accounting information systems, marketing management, and strategic operations. 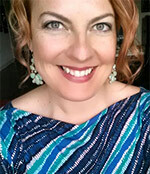 She enjoys homebrewing, writing, speaking, trail running and the beautiful outdoors of Asheville, N.C.